Height: 6-3. Weight: 242. Arm: 32. Hand: 9.13. Three-year starter named Second Team All-Big Ten in 2016 after making 44 tackles (six for loss) with four sacks. Earned Third Team All-Big Ten honors as a junior, ranking second on the team with eight sacks and 14 tackles for loss, adding 66 tackles. Led Wisconsin with 16.5 tackles for loss in 2014 and ranked second with 7.5 sacks, making 56 tackles. Tough, productive college linebacker who projects to the outside of a 3-4 alignment. Explosive, forces his way up the field and disrupts the action behind the line of scrimmage. Chases the action hard, displays ability in pursuit and effectively uses his hands to protect himself. Competes hard, holds his ground against opposing offensive linemen and easily brings larger ball carriers down at the point of attack. Instinctive, shows speed pursuing laterally and stays with assignments. Flashes athleticism and easily moves to every direction of the field. Primarily used in the box or up the field. Stiff moving in reverse. Marginally effective against the pass. Lacks great build for a 3-4 outside linebacker. Biegel has been a force on the Wisconsin defense since his sophomore season and showed his talents during Senior Bowl week. He’s a tough, strong defender with solid instincts and even better growth potential. 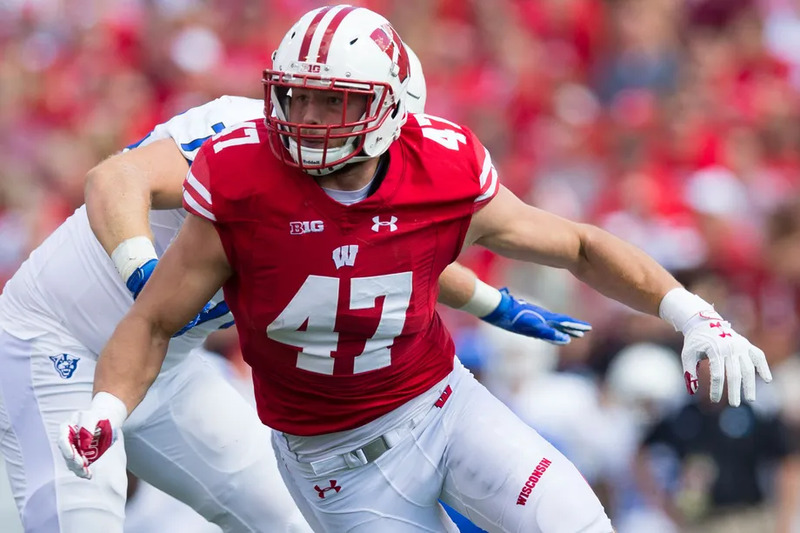 If he falls out of the third round, Biegel could be one of the draft’s bigger steals as he could break into the starting lineup and see extensive playing time as a rookie in the NFL. For people that want to see Biegel at his best, look at his sophomore and Junior seasons... He would have beena top 50 pick if he came out last year. He hurt his shoulder last year missed some tackles. The guy likes him a lot, but is dropping knowledge to back it up. I like Justis's approach to analyzing players.